Ethics Lab is a unique team of philosophers and designers at Georgetown University developing creative methods to help students, policy teams, and organizations build ethics into their work. We produce courses, co-design interdisciplinary exercises, and lead workshops for a range of partners. Together, we surface the moral values at stake in emerging, complex issues to help build responsible progress. 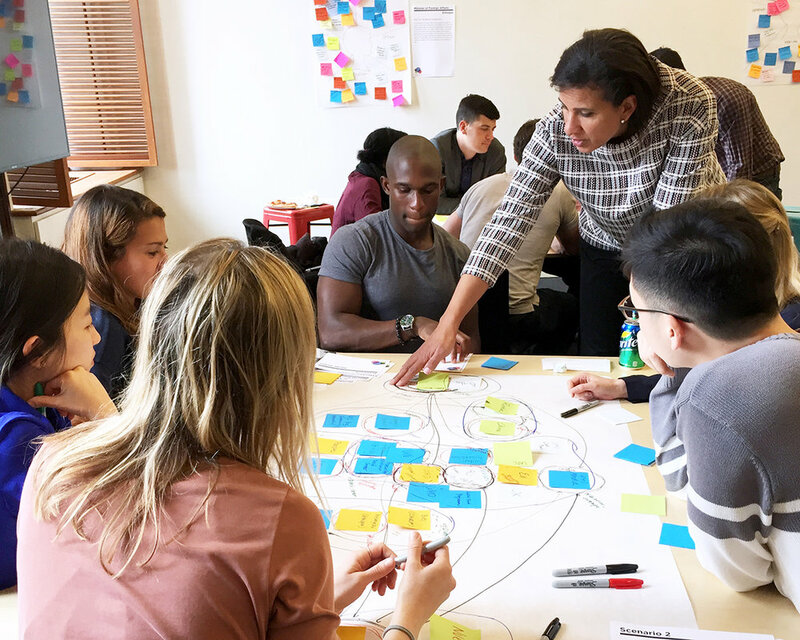 We combine deep expertise in ethics with the creative methods of design thinking to develop exercises, tools, and conversations to activate ethics. Our approach emphasizes active collaboration to uncover and understand the moral values at stake in a challenge, and use them as inspiration for creative action. We focus on forces that are bringing unprecedented change and moral complexity. The revolution in AI, machine learning, and social platforms will increasingly drive the world. What values will drive the revolution? Group polarization, misinformation, and echo chambers threaten to divide our society. How can we rebuild trust and mutual understanding between citizens to repair these divides? Rapid advances in medicine and medical technology are redefining the human condition. What frameworks do we need to adapt to the changes?